Time Out Challenge #114 is up and running. 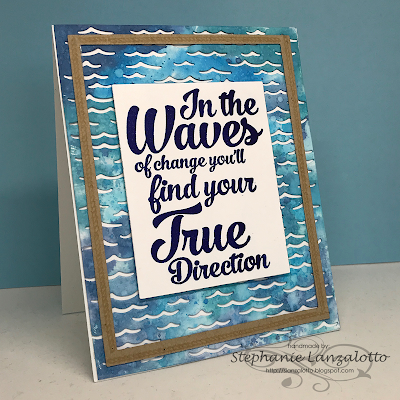 For my card, I created a watercolor background with Distress Oxide Inks in 4 shades of blue, die cut it with the Wave and Sea Fancy Die from Hero Arts, and mounted it on Neenah Solar White 110# card stock. I die cut a Kraft frame and stamped it with a rope image from Clear Arts Stamps Seaside set in Kraft ink to mimic the weave in the seats and coffee table in the photo. The sentiment is Typographia Motivate - True Direction from STAMPlorations stamped in VersaFine Majestic Blue. 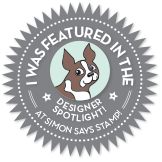 I LOVE the font on the Typographia stamps! 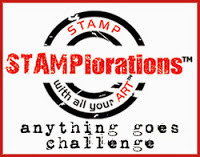 STAMPlorations is the Challenge Sponsor. 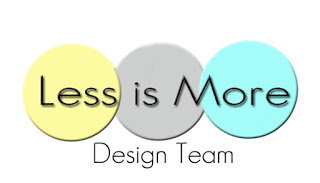 Challenge winner will receive a $15 gift voucher. 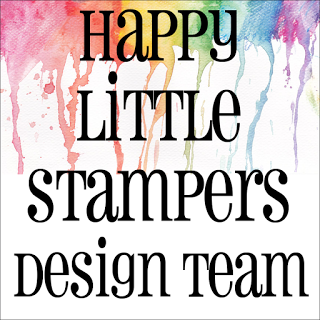 Plus there will be a random winner drawn from all entries to receive a goodie bag of stamps and dies from the STAMPlorations store. See details on the Time Out Challenge Blog. Guest Designer for this challenge is Heather Mills of Wire Rapture, She has an ecclectic style that is sure to inspire you. 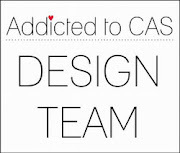 Be sure to treat yourself to a visit to her blog. 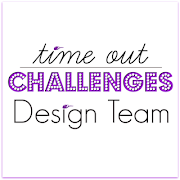 Please head over to the Time Out Challenge Blog and see what Heather and the Design Team have created to inspire you. Please join us in the gallery to share your creation, and for a chance to win! Anything goes featuring Stamplorations products. The Sisterhood Of Crafters - What's Your Favorite Color? I love that background, what a creative idea and made to perfection.Plus matches the sentiment so well. Good idea to use the frame to break up the background and make the sentiment shine! Your ocean is stunning, and I have never seen that die before. Looks like a must have! Love that fabulous quote, and what a wonderful encouragement and inspirational card. Another pretty card. It's perfect for our "On the Beach" challenge at Cards in Envy. Thanks for entering. WOW What a fabulous card and I love the sentiment! Well done!!! Thanks so much for joining us at The Sisterhood’s ‘Your Favorite Color’ challenge and please come back again soon! 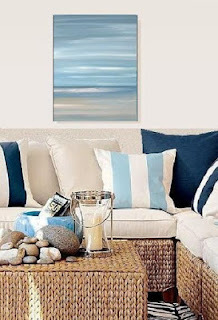 Wonderfully blended background in those sea-worthy blues! 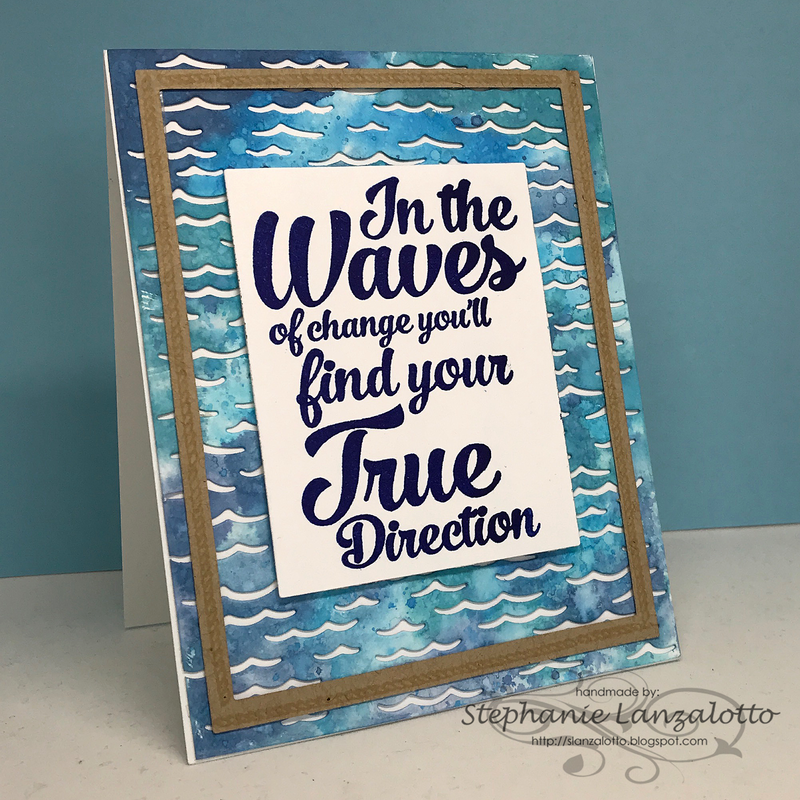 Love the wave die and a perfect way to highlight that great sentiment! Thanks for playing along over at Cards in Envy!